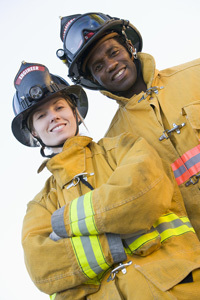 All of our residential and commercial Fire Alarm Systems are designed to code in accordance with the National Fire Protection Association (NFPA), as well as local and state Fire Marshalls. 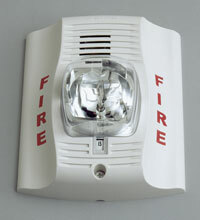 Pope Security Systems offers state of the art Fire Alarm Systems to keep your family, homes and businesses safe. Connected directly to a 24 Hour Monitoring Center, our alarm systems will ensure that your local authorities are dispatched and on-site when you need them most. Our fire alarm systems consist of an alarm control panel, sensor devices (smoke detectors, heat detectors, water flow switches, pull stations) and notification devices. When activated, the system immediately sends a signal to notify both building occupants and the Central Monitoring Station. 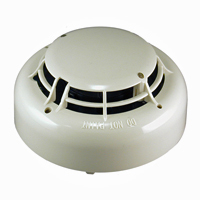 Unlike stand alone smoke detectors which only notify occupants within earshot, our systems will alert occupants throughout the entire building and simultaneously notify the proper authorities, whether or not the building is occupied. We’ll set up a system that’s just right for you. Please call us for more information @ 603 447 6704.